Good size room with kitchen and refrigerator, Clean, Helpful staff. This was a very nice property and in a very convenient area. It was a little small for 4 people. We came to the Hotel in the afternoon and it was still hot with strong sunshine, at first the lady assigned me two rooms very far away from each other, she changed the rooms after I requested. There was a restaurant just next to the check-in and we had a good dinner there. 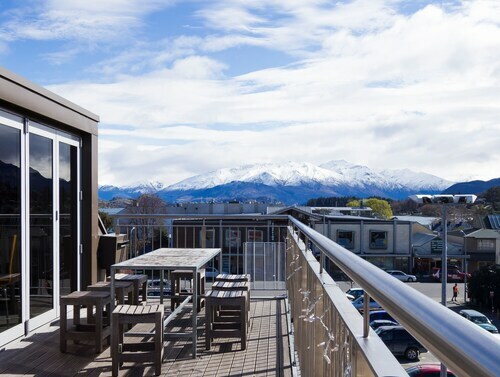 So you're considering a holiday to Cromwell? 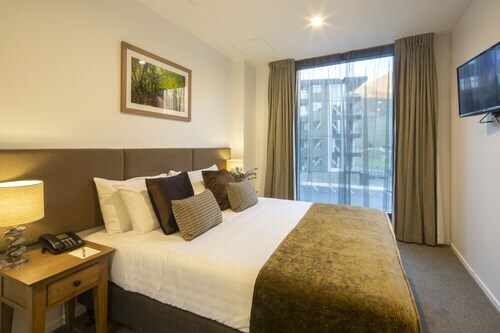 If you want a place to lay your head that's located close to Cromwell attractions, use Orbitz to pick your travel dates, and then presto! Review the list of hotels and other accommodations to identify those that are located near what you want to see. We make it easy to find a convenient flight into Wanaka (WKA), which is 16.6 mi (26.7 km) from the heart of the city. Find your ideal flight in a flash by using the filters on our site to narrow down your search. 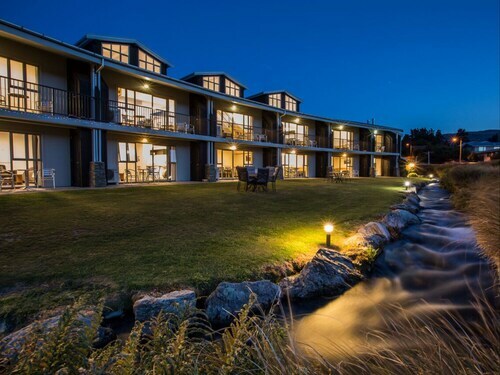 Go for a swim when you stay at one of these Cromwell properties, noted for their pools. What's the Weather Like in Cromwell? Plenty of space out back to relax with a stream flowing through the property. Great location. Bathroom facilities with individual hostel rooms. Cleanliness is so-so. Big so busy with in and out of people. Got upgraded to apartment! Very lovely. A lot of space with couch and eat in area. Great view of Remarkables!!! !